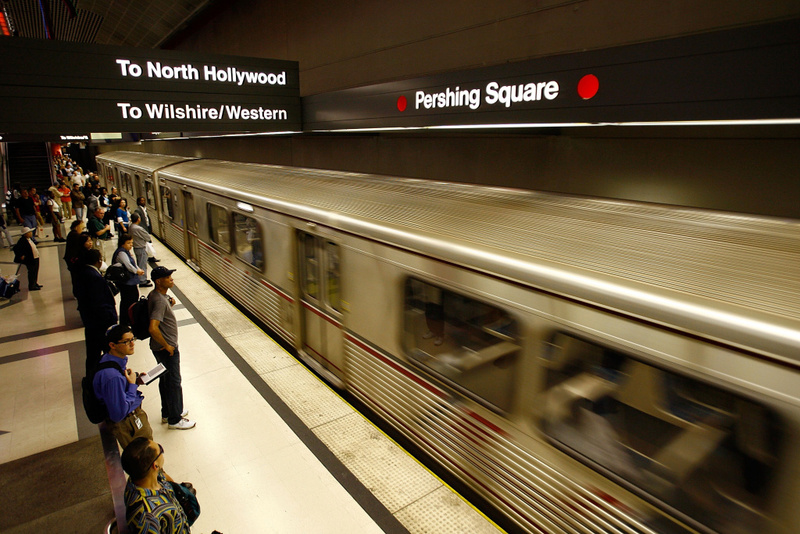 Passengers board Metro subway trains during rush hour on June 3, 2008 in Los Angeles, California. Los Angeles-area transit officials are trying to reconcile figures that show 40 percent more people are estimated to ride the county's trains than are counted scanning tickets at stations. The Metropolitan Transportation Authority says there were 115 million riders on its light-rail and subway system last year — a 5 percent increase from 2012. But a Los Angeles Times analysis published Monday finds only 70 million of those rides were legal. How much of that difference may be the result of fare evasion or other factors is a question officials hope to answer as they prepare to boost fares in September. Reducing fare jumping has become increasingly important to Metro, which is under pressure to increase ticket revenue as its rail network rapidly expands. More fare hikes are planned in coming years.